The video, embedded below, shows a ball being hit in to the middle pocket and then another ball on a second shot being hit in to a pocket. 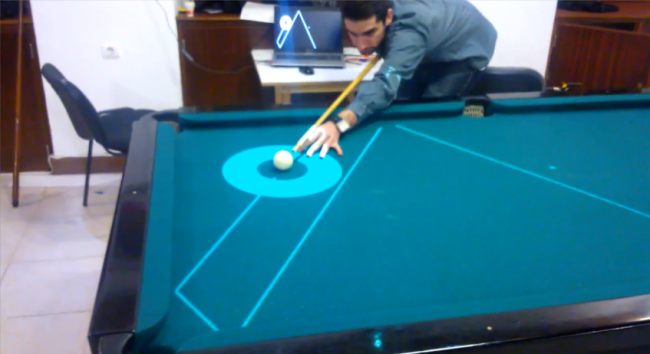 The idea is great and it reminds me of playing pool on the old Amiga and other old computers. Either way, I quite like the idea and its certainly one way to make the game a little easier. If you want to take a read of thoughts of people on Reddit, then check out this thread.